If you don’t consider yourself a fan of country music, local band Katie Jo & The Mijos have a bone (and banjo) to pick with you. Assembled by Kansas-born front woman, banjo-ista and songwriter Katie Oberthaler, the six-person outfit plays “bluegrass-infused honky-tonk” for those who don’t know they like country music, yet. Formed in 2016, you may have heard them play at last year’s Long Beach Folk Revival Festival as the selected local emerging artist. Now the group—composed of Oberthaler, bassist Daniel Chavez (DCHAV, Thy Squid), pedal steel player George Madrid (Janie, Manuel the Band), guitarist Billy Camacho (DCHAV), banjo player Andy Rau (The Andy Rau Band) and drummer Nick Medina (Bathala)—is ready to release its debut EP “Prairie Flower” and is hoping you’ll join them at the party. “We’ve been playing these songs for months now and as a band really pushed ourselves to make our live shows to be as engaging and danceable as possible, so it’s very satisfying to have this release come on the heels of the efforts we’ve been putting in on stage,” Oberthaler said. The Pike Restaurant and Bar, where the EP release show will take place on Saturday, holds a special significance to the band. Oberthaler said they owe a lot to owner Chris Reece, among other Retro Row businesses, for giving them the chance to play regularly and therefore build a local following. “Unless you’re purposefully seeking it out, it’s kind of rare to walk into a bar or restaurant today and see someone playing a banjo or pedal steel live,” Oberthaler said. “Prairie Flower” includes four original songs written by Oberthaler, which the band considers a “Mijos starter pack” because it represents what fans will hear during their live shows. The mix of uptempo, honky-tonk numbers and introspective ballads are based on personal narratives and give off a friendly, good-time vibe. The show at The Pike Bar is the official kickoff for a mini tour celebrating the EP release. You can follow the band to Costa Mesa on Wednesday, March 14 where they’ll be playing at Casa, and to Los Angeles on Friday, March 16 at The Escondite. 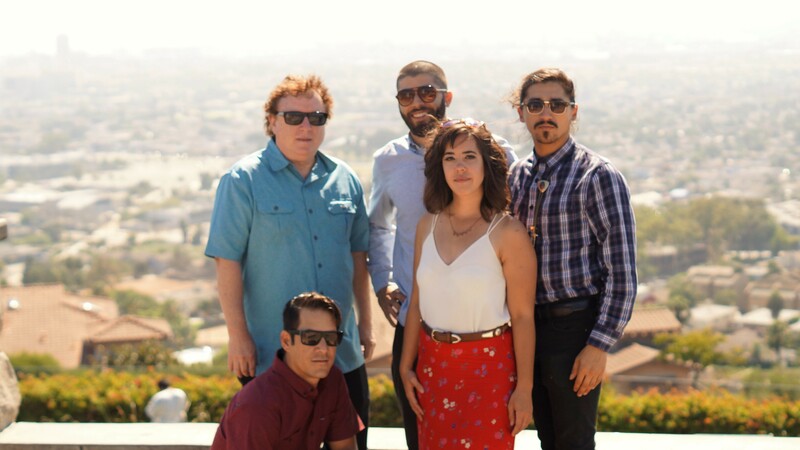 Every show Katie Jo & The Mijos have played at The Pike Bar have turned into a “true hoedown.” The group aims to pack the dance floor with “that same vibe cranked up to the next level” in an effort to capture that “approachable Long Beach spirit,” Oberthaler said. For details on the EP Release Show, check out the calendar event here. Learn more about Katie Jo & The Mijos via their website here.